It will soon be harder for top-tier foreign talent to apply for a flexible version of the Employment Pass: They have to earn more to qualify from Dec 1. The Manpower Ministry said the work-pass criteria changes are in line with moves to raise the quality of Employment Pass holders. This follows earlier government curbs on foreign manpower. Top-tier foreign talent hoping to get a flexible version of the Employment Pass (EP), for better job security when they work here, will soon find it tougher to qualify. From Dec 1, foreigners holding an EP will have to earn at least $12,000 a month to apply, up from at least $3,000 to $8,000 or more, depending on the EP tier, among other things. This comes after the salary criteria to qualify for the EP were tightened in July last year and again in January, which came after earlier curbs on foreign manpower. The EP is a work pass for foreign professionals working in managerial, executive or specialised jobs. 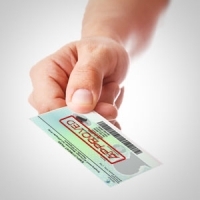 A more flexible version, called the Personalised Employment Pass (PEP), was introduced in 2007 to attract highly-skilled foreigners to Singapore. It allows them to work here without being tied to a specific employer, unlike the standard EP. Foreigners on a PEP can also be unemployed for up to six months, but an EP holder has to leave in 30 days if he loses his job. The PEP is valid for five years now, issued only once and cannot be renewed. But from Dec 1, the validity period will be cut to three years. The Ministry of Manpower (MOM) said on its website the PEP qualifying-criteria changes are to ensure the PEP "remains a premium pass for top-tier foreign talent working in Singapore". On why the PEP's validity period will be cut, MOM said "foreigners with in-demand expertise and skills should be able to secure a job and obtain an EP before too long a period". MOM said yesterday that, as of December last year, there were about 12,000 PEP holders. This is less than 7 per cent of the total EP numbers. Mrs Andrea Ross, managing director for Singapore, Malaysia and Vietnam for recruitment consultancy Robert Walters, said the new PEP measures were a concern as high-skilled foreign talent may now consider working in neighboring countries instead of Singapore. She added that the new PEP salary requirements "are out of sync with the market". Mr David Ang, executive director of the Singapore Human Resources Institute, said that with the slowing economy, the tightened PEP criteria would not matter to many employers, because they are unlikely to hire such foreign talent who could be expensive.